In light of recent patient questions about the best ways to reduce their risk of a hernia, Dr. Towfigh reminds patients that exercise can help reduce hernia risks in a variety of ways. 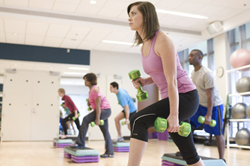 Exercise is a great way to decrease your risk of a hernia. By adopting an exercise regimen that works to strengthen the abdominal muscles, prospective patients can help stop naturally occurring holes from turning into hernias. It Can Strengthen Abdominal Muscles – A hernia occurs when internal organs protrude through a weakness in the abdominal wall. Dr. Towfigh notes that a weakness can be more easily exploited and stretched when the muscles are weak. By adopting an exercise regimen that works to strengthen the abdominal muscles, prospective patients can help stop naturally occurring holes from turning into hernias. It Can Aid in Weight Loss – Dr. Towfigh notes that being overweight and risk of a hernia are very closely correlated. This makes sense, as excess fat can cause increased internal abdominal pressure, which can press upon and stretch the abdominal wall, resulting in a hernia. Yet, it should be noted that extremely rapid weight loss can increase the risk of a hernia, so adopting a steady, consistent exercise and diet regimen is best. While exercise is perhaps the best, most proven way that patients can reduce the risk of developing harmful hernia symptoms, Dr. Towfigh notes that there are a variety of other behavioral modifications that current or prospective hernia patients may consider, especially when a surgery has already been scheduled. Dr. Towfigh states that, while it is understandable that many patients may need to remain on blood thinners or aspirin for other medical conditions, these can increase the risk of bleeding after hernia repair. Also, smokers should note that, because nicotine can worsen blood flow, it is recommended that patients stop smoking prior to surgery in order to aid in the healing process. If patients want to learn more about the various risk factors for preventing hernias or surgical complications after a hernia repair, they can call Beverly Hills Hernia Center at 310-358-5020 or visit them online at http://www.beverlyhillsherniacenter.com today.